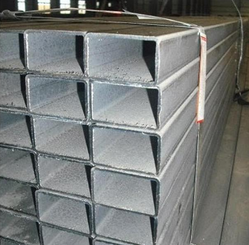 We are offering a wide assortment of Aluminum Rectangular Pipe to our patrons to fulfill the different requirements of the commercial and constructional areas. All our rectangular pipes are perfect in size and light in weight. 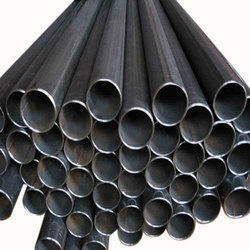 Best quality aluminum is employed in the development of rectangular pipe to let our customers have best aluminum pipes. These rectangular pipes are accessible in different height and width. We are offering Aluminum Wires to our clients. We provide high-quality products to our clients. 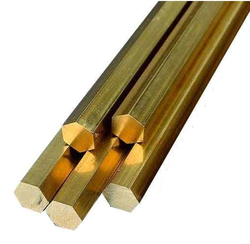 We are offering Ab1 Aluminium Bronze Bar to our clients. 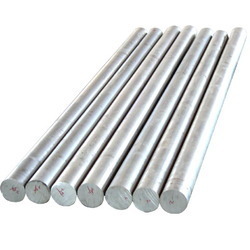 Aluminum Alloy Round Bar 1050 is a popular grade of aluminum for general sheet metal work where moderate strength is required. Alloy 1050 is known for its excellent corrosion resistance, high ductility, and highly reflective finish. When welding 1050 to itself or an alloy from the same subgroup the recommended filler wire is 1100. 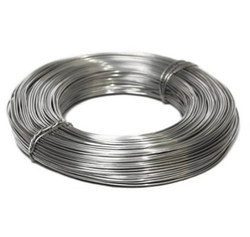 For welding to alloys 5083 and 5086 or alloys from the 7XXX series, the recommend wire is 5356. For other alloys use 4043 filler wire. 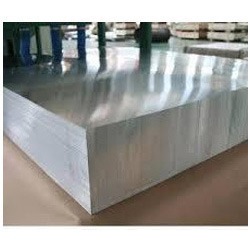 We are one of the leading manufacturer and supplier of Aluminum Sheet.We obligated to meet the quality standards as per the industry norms. 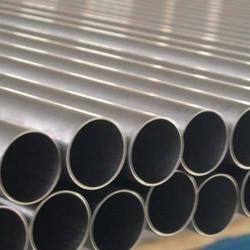 Within a short period of time, we have gained a prominent position in the market, by offering a wide assortment of Aluminum HE30 PIPES,,RODS,PLATES. Ranges of our products are widely acclaimed for optimum quality, perfect finishing and varied thickness. 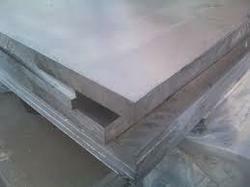 Aluminum alloy 6082 is a medium strength alloy with excellent corrosion resistance. It has the highest strength of the 6000 series alloys. Alloy 6082 is known as a structural alloy. 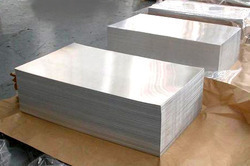 In plate form, Aluminium alloy 6082 is the alloy most commonly used for machining. As a relatively new alloy, the higher strength of Aluminum alloy 6082 has seen it replace 6061 in many applications. 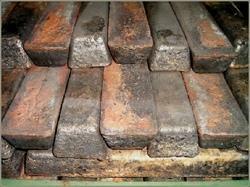 The addition of a large amount of manganese controls the grain structure which in turn results in a stronger alloy. In the T6 and T651 temper, Aluminum alloy 6082 machines well and produces tight coils of swarf when chip breakers are used. Width 48 in. to 96 in. Length 96 in. to 240 in. 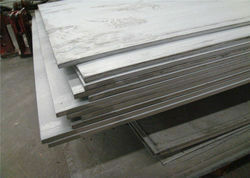 Distributor of aluminum plates & sheets made from aluminum alloy grades including 5086, 5052 & 6061. Specifications of plates & sheets depending upon grades include 1/25 in. to 6 in. thickness, 48 in. to 96 in. width & 96 in. to 240 in. length. Plates are used in the fabrication of tanks, pressure vessels, ship structures & welded assemblies in transportation, chemical & furniture industries. 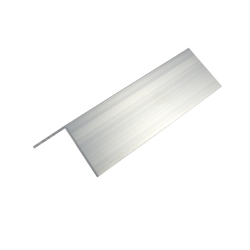 We present a qualitative range of Aluminum Foils that are used to wrap the foods. The offered foils are manufactured at vendors’ end using superior quality raw material and modern technology in adherence with industry norms. Apart from this, these foils are available in variegated specifications and designs as demanded by our prestigiouscustomers. Owing to theiroptimum finish and high strength, these foils are high on demand by the clients. 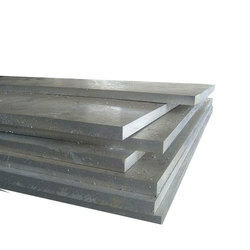 Backed by a team of highly experience and expert professionals, we have been able to provide a wide range of quality assured Aluminum Square Bar to the clients. The offered square bar is procured from the certified vendor’s’ of the market in sync with industry norms. Being client centric agency, this square bar is checked on different quality measures. To cater the needs of our clients, we offer this square bar in various sizes and designs. We have gained a position of repute in this industry engaged in offering a quality approved range of Aluminum Alloys that are used for making wires. 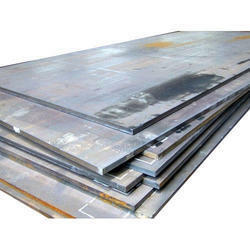 The offered alloys are procured from the reliable vendors’ of the market in compliance with industry norms. Furthermore, these alloys are available in variegated designs and sizes. Our provided alloys are appreciated for their heat resistance and durability. Medium strength work hardening alloy. Good weldability, formability and corrosion resistance. 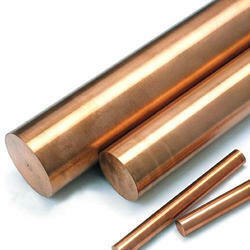 Used at temperatures from 65-200°C. Chemical plants. Good weldability and corrosion resistance. Good weldability and corrosion resistance. Ship building structure in general. Very resistant to sea water, industrial atmospheres. 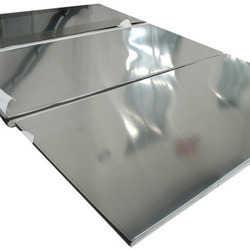 We are counted as the most reputed trader, retailer wholesaler and supplier of quality assured Aluminum Angle. Manufactured using optimum quality aluminum and advanced technology at vendors’ end, this angle in used in electrical industry. Our offered angle is available in diversified sizes and thicknessfor our clients' to choose from. In order to maintain the quality, this angle is tested by our quality examinersonvaried quality parameters. Being a client-centric organization, we are engaged in manufacturing, supplying and exporting a comprehensive range of 2014 Aluminum Alloy. Manufactured at our sophisticated infrastructure unit, the aluminum alloy offered by us is highly applauded for their features like low maintenance, dimensional accuracy and high tensile strength. Further, our appointed quality controllers closely inspect our range on different parameters to ensure flawlessness. Applications Commonly used in the manufacture of shell casings, aircraft, and other structures. Machinability Machining characteristics are very good in the annealed condition. Use of oil base lubricants for all machining operations is recommended. Forming This alloy may be formed by conventional methods. However forming is easier in the annealed condition because in the heat treated (hardened) condition the alloy has more springback due to its strength. Use of warming at 250 F will assist in forming, especially for spinning. Optimum formability is with the material in the W (quenched) condition. Welding Not normally done to this alloy and no data on techniques available at this time. Heat Treatment Heat treatment may be done. However the parameters of the treatment are proprietary to Alcoa. Heat treat information is available from Alcoa on a non-disclosure agreement basis. 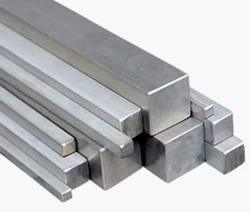 Aluminum alloys have strong corrosion resistance. At subzero temperatures, their strength increases, thus making them a useful low-temperature alloy. Their strength decreases if they are subjected to very high temperatures. The aluminum 7075 alloy has high strength. The following datasheet gives more details about the aluminum 7075 alloy. The mechanical properties of aluminum 7075 alloy are outlined in the following table. The thermal properties of aluminum 7075 alloy are given in the following table. Aluminum 7075 alloy can be machined in the annealed condition. Oil lubricants are used for performing machining operations. 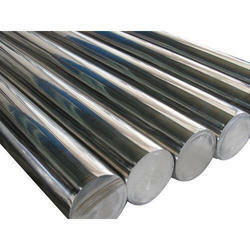 Aluminum 7075 alloy can be formed in the annealed condition. It can be warmed at 94 to 122°C (200 to 250°F) if any difficulty is encountered. 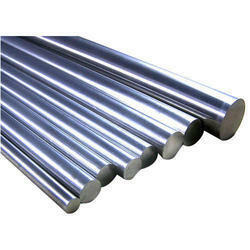 Aluminum 7075 alloy can be welded using resistance welding method. Gas welding method is not preferred for welding this alloy. Arc welding method should also be avoided as it results in degradation of corrosion resistance property of this alloy. Aluminum 7075 alloy is annealed at (900°F) for 2 h followed by water quenching and precipitation hardening heat treatment. 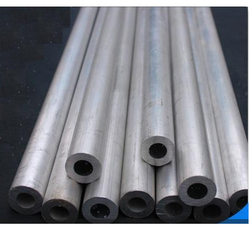 Aluminum 7075 alloy is forged at 372 to 483°C (700 to 900°F). 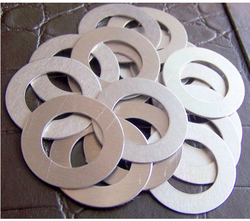 We are an eminent manufacturer and supplier of a vast array of Aluminum Alloy Plate. All our products are manufactured keeping in mind the specific requirements of customers. Excellent quality aluminum that is sourced from most trusted vendors of market is used to manufacture the offered range. All our products are extensively used in various engineering applications. 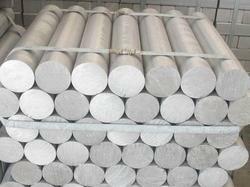 We Are One Of The Leading Suppiler Of Lm4 Aluminum Alloys & Have Ready Stock Of Round Bar & Ingots. 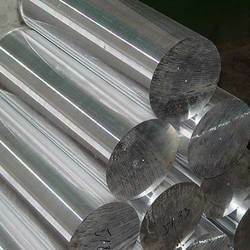 This alloy is widely used and is suitable for most general engineering purposes including cylinder-heads, crank-cases, junction boxes, gearboxes, clutch-cases, switch gear covers, instrument cases, tool-handles and household fittings, office equipment and electrical tools etc., where moderate mechanical properties are desirable. Its casting characteristics permit it to be used forthe production of thick and moderately thin forms and also for castings required to be pressure tight. In the heat treated state, it may be used for castings required to maintain a relatively high static loading. It has good weldability. LM6 can be anodized by any of the common processes, the resulting film ranging in colour from grey to dark brown. 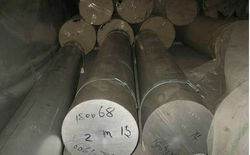 Alloy: 6061, 6082, 6063 etc. Temper: O, H112, T4, T6, T651 etc. Machinability: In the harder T 4 and T6 tempers it is good. It is notably less easy to machine in the annealed temper. Forming: Easily cold worked and formed in the annealed condition. Stamping, bending, spinning, deep drawing are all readily accomplished using standard methods. Welding: It has very good welding characteristics and may be welded by all of the common welding techniques. Heat Treatment: Solution heat treat at 990 F for adequate time to allow for thorough heating and then water quench. Precipitation hardening is done at 320 F for 18 hours and air cool, followed by 350 F for 8 hours and air cooling. Forging: It is capable of being hot forged at temperatures in the range of 900 F to 750 F.
Hot Working: Hot working may be done in the temperature range of 700 F to 500 F.
Cold Working: Cold working in the O temper condition is readily performed. The alloy is notably less easy to cold form in the T 4 and T 6 tempers. Annealing: Annealing should be done at 775 F for 2 to 3 hours followed by controlled cooling at 50 f per hour down to 500 F, then air cool. Aging: The aging precipitation heat treatment is done at 350 F for 8 hours followed by air cooling. This produces the T6 temper. Commonly used in the manufacture of heavy-duty structures requiring good corrosion resistance, truck and marine components, railroad cars, furniture, tank fittings, general structural and high pressure applications, wire products, pipelines, various toolings etc. 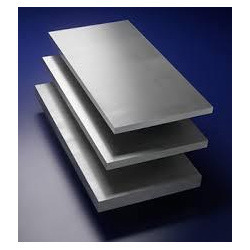 Aluminum alloy 7475 is a controlled toughness alloy developed by Alcoa for sheet and plate applications that require a combination of high strength, superior fracture toughness and resistance to fatigue crack propagation. Typical fracture toughness values for alloy 7475 plate are approximately 40 percent greater than alloy 7075 in the same tempers. Corrosion resistance and fatigue behavior of alloy 7475 are equal to and, in some cases, better than many of the current high strength aerospace alloys such as 7075, 7050 and 2024. 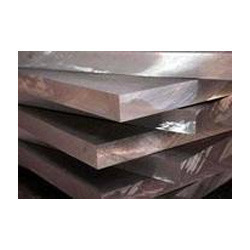 We have huge stock & one of the leading suppiler & exporter of aluminum alloys marine grade in form of sheet,plates,round bar,angels,channel,strips & many product as per shape & size. mostly marine grade are 5083,5086,6061. 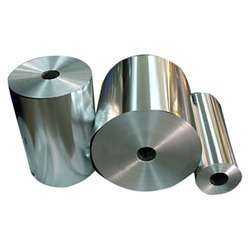 · 5000 series are alloyed with magnesium. · 6000 series are alloyed with magnesium and silicon, are easy to machine, and can be precipitation hardened, but not to the high strengths that 2000 and 7000 can reach. Aluminium 5083 is known for exceptional performance in extreme environments. Aluminium 5083 is highly resistant to attack by both seawater and industrial chemical environments. Aluminium 5083 also retains exceptional strength after welding. It has the highest strength of the non-heat treatable alloys but is not recommended for use in temperatures in excess of 65°C.